Another New Boiler For Puffing Billy! NG/G16 129 Is Coming Together....Virtually! First Pictures Of The New NG/G16 Boiler Construction! 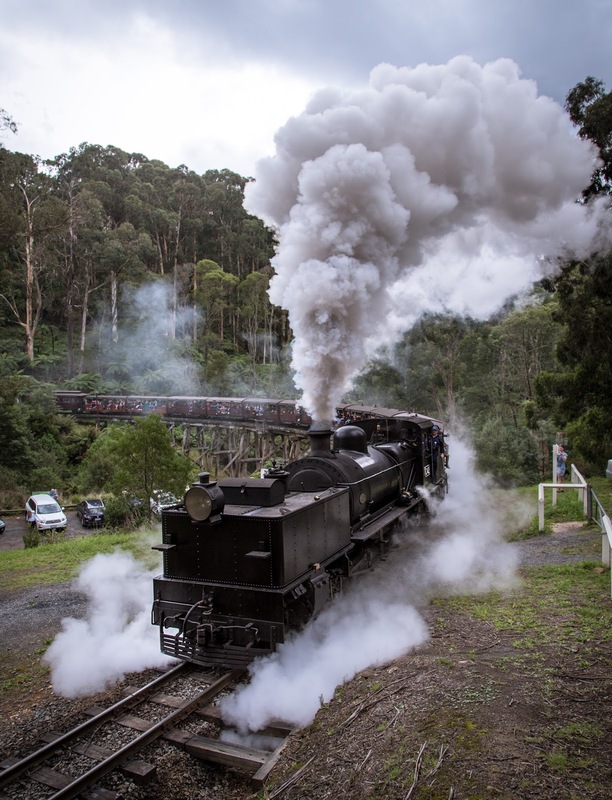 As Christmas 2016 approached, and Puffing Billy's 6 train running began in order to accommodate the annual summer rush, G42 was taken out of traffic and rolled into the workshops for a 'B' exam. Now removing our biggest locomotive from service at the busiest time of year might sound a little counter-intuitive to some, but there is method in the madness! The 6 train running period sees 4 NA class locomotives and 4 carriage sets in service, and with the limited rolling stock currently available to us, we can only make up 4 NA sized trains. Therefore, without the ability to make up a Garratt sized train, there is no point in G42 running, and so the workshops take this time each year to carry out planned maintenance. 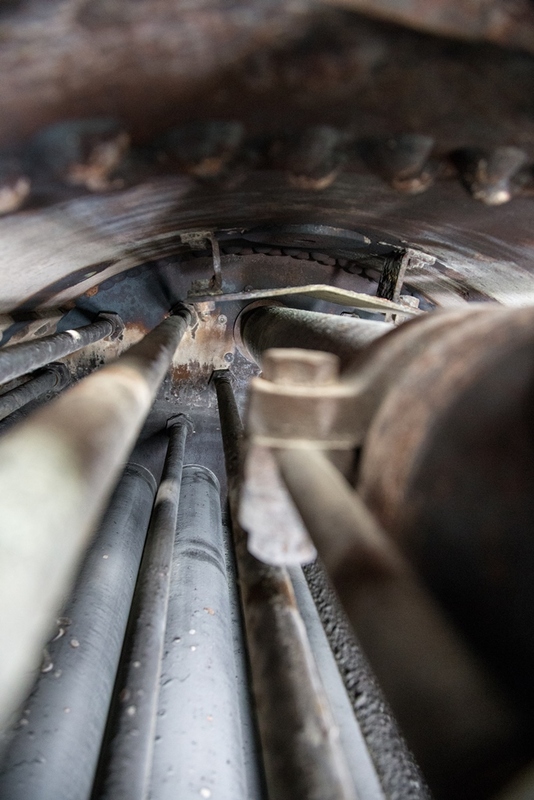 The regular B exam sees the workshops carry out such work as a boiler washout, checking and maintaining the spark arrestor, and any small jobs which have been noted by the engine crew in the logbook. This particular exam also coincided with an internal boiler inspection. 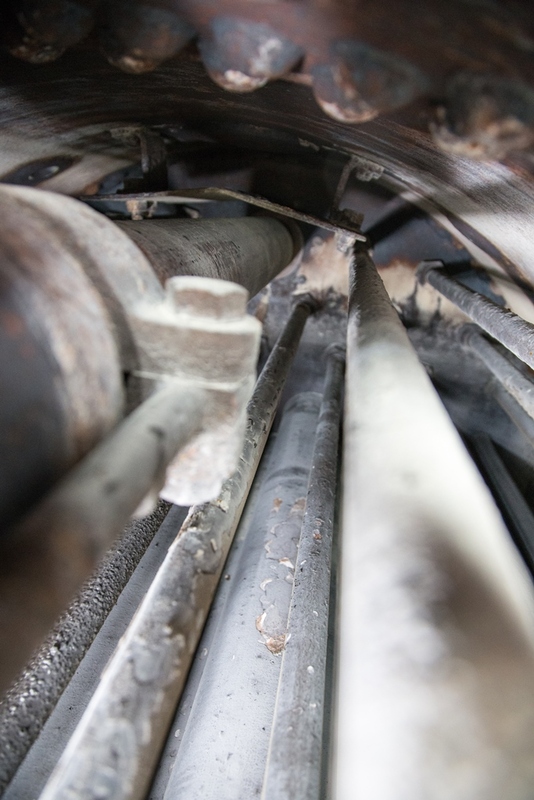 This requires all the washout plugs and fittings to be removed from the boiler, so that the internal condition of the boiler may be assessed. The boiler fittings such as valves, gauge glasses and safety valves must also be taken apart for visual inspection. It was during the boiler washout that the things suddenly got interesting! Whilst cleaning out around the firebox, a rivet head was washed out through one of the rear foundation ring sockets. Now G42 is our only A roster locomotive which still retains a riveted boiler, and a boiler that size contains a lot of rivets, so the question was; where had it come from? Trying to answer this question involved all sorts of creative thinking, including torches, mirrors, and a borescope. 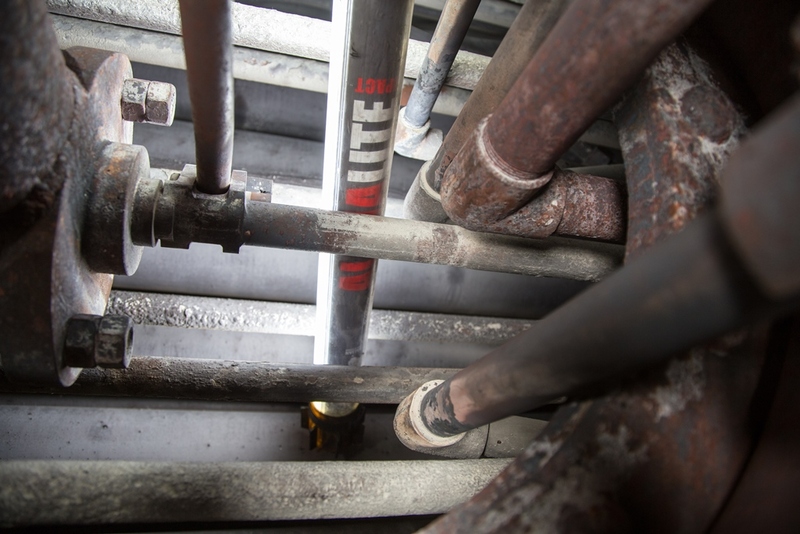 The location was eventually discovered through advice from those who carried out the initial restoration of the boiler, careful study of the drawings, and the purchase of a Go-Pro video camera on a selfie-stick which could be poked through the inspection covers and viewed on a computer screen balanced on top of the boiler! 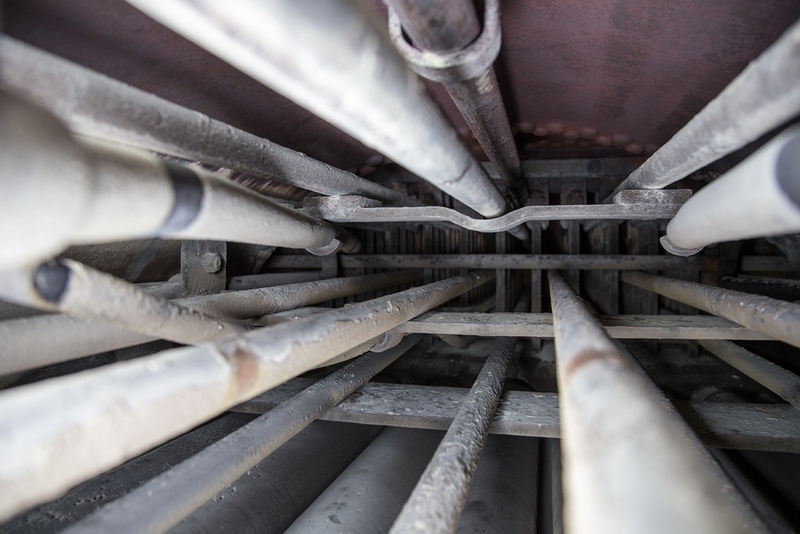 The previous series photographs were taken showing the inside of the boiler; looking down into the dome opening, forwards looking at the front tubeplate, and rearwards looking at the firebox and crown stays. Above, the rivet head which came out in the wash is on the right, whilst the remains of the rivet, after drilling out, is shown on the left. The rivet was found to be one of a series which retain a thickener plate across the backhead of the boiler, through which the longitudinal stays are attached. Above, the cladding and insulation has been removed, and below, the remains of the rivet drilled out. With the hole cleaned out and the threads cleaned (above), a new stud was manufactured to be a tight fit in the existing thread (below). Above and below, with the new stud tightened into place, the circumference is caulked in order to effect a steam tight seal with the boiler plate. Caulking is a process carried out on riveted steel structures, whereby a blunt chisel or similar is driven into the metal adjacent to a joint, and has the effect of displacing the metal and creating a tighter seal. Following a hydraulic test which showed no leaks, the loco was steamed for the boiler inspector who professed himself happy, and G42 returned to traffic in time to bear the brunt of the Chinese (Lunar) New Year traffic.